We provide our clients Water Purification Plants that is extensively used for removing the excessive salt and other minerals from the water. Our expertise enables us to offer desalination of sea and brackish water, which has been a recognized method for obtaining clean drinking water and fresh water for various industrial & domestic applications and drinking. These Water Purification Plants can also be customized for both the production of drinking water and industrial desalination. We take pleasure to introduce ourselves as one of the leading organizations, engaged in offering a comprehensive range of 500lph to 5000lph RO Plant. Our offered plant is highly demanded in the market for its compact design, corrosion-resistance and durability. The offered plant is manufactured with the help of fine grade raw-material and progressive technology in adherence to set industry norms. It is extensively used to purify water and acts especially for the food industries. Moreover, plant offered by us can also be availed in various specifications as per different requirements of our precious clients. 500lph to 5000lph RO Plant. 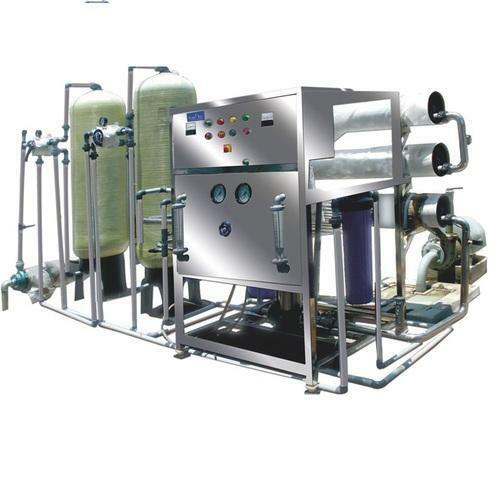 Looking for “Water Purification Plant ”?